If you are experiencing facial volume loss, deep forehead creases, or pronounced nasolabial folds (lines between the nose and mouth), Dr. Ramin Behmand offers a non-surgical facial rejuvenation treatment that can help correct these concerns. 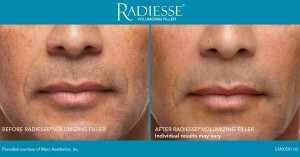 Radiesse®, a popular dermal filler, is a minimally-invasive option that offers nearly immediate results and little to no downtime. Radiesse® can help restore skin to a more youthful appearance, but it differs from other dermal fillers, such as Juvéderm® and Restylane®, in a few notable ways. It is comprised of a synthetic calcium hydroxylapatite—a mineral-like compound found naturally in bone. This biomaterial has been successfully utilized in other surgical specialties for over 20 years, and, once injected, can provide long-lasting augmentation of the soft tissues of the cheeks, frown lines, and nasolabial folds. Due to its thicker consistency, results from Radiesse® injections can last over a year—longer than most hyaluronic acid-based skin fillers. As Radiesse® is most suitable for adding volume to deeper soft tissue areas, it is often used in combination with “softer” fillers designed to treat fine lines closer to the skin’s surface – such as Restylane® – to provide comprehensive facial rejuvenation. 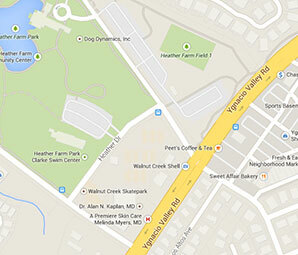 During your appointment, Dr. Behmand will create a customized treatment plan to suit your needs. 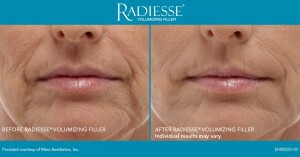 Dermal fillers, including Radiesse®, are minimally-invasive and typically require little to no downtime. After the approximately 30 minute procedure, you may return to work and other activities, though you should avoid exercising for the first 24 hours after treatment. Dr. Behmand will also request that you abstain from facials, facial massages, and any other facial manipulation for the same period. Patients may experience some temporary swelling or minimal bruising at the injection site. Makeup can be used to cover these side effects until they fade.